Our team is made up of highly experienced practitioners and leaders in their respective fields. Across the team, we boast a richly diverse knowledge base in the fields of Treasury and cash management, quantitative risk and mathematics, technical accounting and compliance as well as solution and software development. "Our concentration of advisory and technical skills within our specialist teams equips us to solve the unique challenges that our clients' face today." Andrew is the Covarius Managing Partner accountable for all Consulting Practices and has over 20 years of consulting experience in Professional Services and Corporate Treasury within numerous industry verticals. Andrew has implemented complex Corporate Treasury system environments within over twenty countries for some of the world’s largest listed companies. His expertise is in design and implementation of global, large scale Corporate Treasury systems projects and complex change/transformation operating model projects. Andrew is a qualified engineer. Gareth is a Partner with a background in both Technology and Consulting, and is now responsible for driving innovation for our clients through Covarius Lab. Gareth is also responsible for finance and legal for Covarius Group. Gareth specialises in analysis, design and delivery of business process automation and technology innovation projects within Corporate Treasury. His expertise is primarily concentrated within technical architecture and is responsible for developing custom solutions for Covarius clients in Microsoft .Net, SAP HANA, specialist BI products and breakaway technologies like Blockchain and IoT. Gareth has a number of Finance and Accounting degrees. James is a Senior Partner accountable for the Advisory and SAP Consulting Practices and has over 18 years’ experience within Corporate Treasury, Investment Banking and Asset Management as both a Director and Partner. James specialises in architecting and implementing technology solutions within both large Corporate Treasury and Banking environments. His expertise is primarily in delivering large scale SAP Treasury applications implementations as well as Operating Model transformations that accompany such implementations. James has a PhD in Finance. Gareth is the Director of SAP Lab and Applications Solutions. He has over 12 years of experience in leading SAP transformation projects within Corporate Treasury, Financial Services and Commodities industries. Gareth specialises in developing innovative SAP HANA, Predictive Analytics and Machine Learning solutions for Corporate Treasuries. His expertise is primarily concentrated within SAP Treasury, Cash Management, Loans and A1 Banking solutions on ECC and HANA. He has vast knowledge of industry and technical SAP issues and bring this to life in the solutions created for Covarius clients under the Covarius Lab. Graham is the Director of both UK and US Consulting practices heading up Treasury Systems. He has over 10 years of experience in implementing Corporate Treasury systems across numerous verticals heading senior positions. Graham specialises in implementing a number of TMS and reporting technologies and designing complex processes around Corporate Treasury environments. His expertise is in delivering systems solutions to Corporate Treasury clients in large scale and small scale environments as well as innovative technology solutions. His programming background is invaluable in allowing him to identify out-of-the-box solutions for clients. Graham has computer sciences engineering degree. Matthew is Director of our US Consulting practice. He has over 6 years of experience implementing FIS Quantum and leading global projects in multinational organisations. .
Matthew specialises in FIS TMS solutions and reporting technologies. His expertise is in deploying infrastructure and architecting complex TMS solutions in large corporate treasuries. Matthew has a Finance degree. Stuart is a Director in the Lab. He has a wide range of experience from former roles in sales, consulting and product development within leading treasury system vendors. Stuart is a leader within Covarius Lab and is responsible for product design and delivery of the strategic vision for our product offerings. Stuart is also responsible for driving innovation through use of new technologies within our Consulting practice. Stuart has a degree in Economics. Jorge is the Director of Global Operations and Finance for Covarius and has over 10 years of experience in leading SAP projects within Insurance and Corporate Treasury. Jorge specialises in SAP IS-Insurance and Financial Asset Management rollouts. His expertise is primarily in delivering implementations and building custom solutions at large Insurance customers where there is a need Collections, Disbursements, Asset Management and Hedge Management requirements. Jorge has a computer sciences engineering degree. Richard is an Associate Director within the UK Consulting Practice heading up Treasury Systems sales. He has over 8 years implementation and pre-sales experience in Corporate Treasury solutions. Richard specialises in the implementation of IT2 and Kyriba TMS solutions. His expertise is primarily in delivering implementations and architecting process around technology solutions into treasury departments that maximize operational benefits. Richard has a degree in Business Administration. David is an Associate Director within the UK Consulting practice heading up Kyriba project delivery. He has over 16 years of experience in implementing numerous Corporate Treasury systems platforms and a wealth of experience from banking roles..
David has specialised in a number of Treasury systems in his career including Kyriba and Bellin. He is an expert in system deployments, architecting solutions designed to fit a wide range of corporate customer needs. Jacques is an Associate Director in the Lab specialising in SAP and Application Solutions. 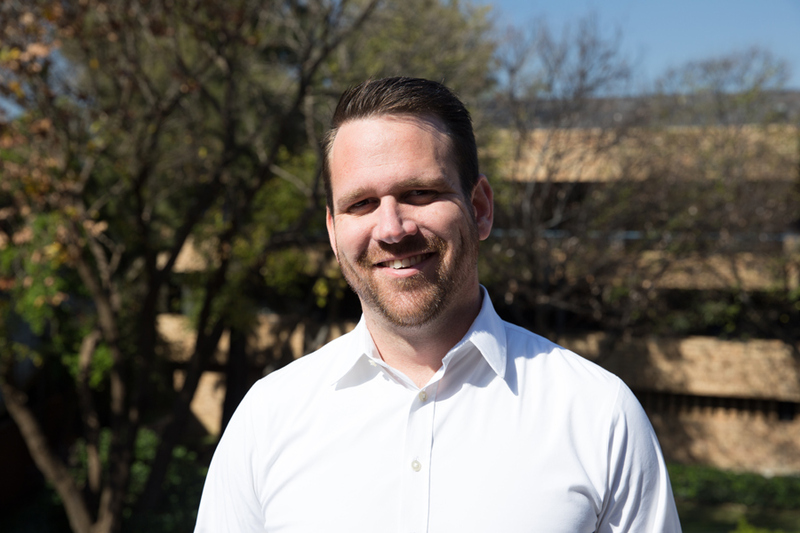 He has a proven track record of over 12 years of experience in end-to-end project lifecycles within SAP application development and has led numerous innovation developments in SAP, including one of the first implementations of SAP Cloud in South Africa. He has specialised in development across SAP environments including SAP S4/HANA and SAP Cloud Platform. Darrell is a lead software developer in Covarius Lab. Darrell is responsible for bringing Covarius Lab ideas to life by translating user stories into deployable software products. Darrell has years of software development and development operations experience, mainly in Microsoft .NET technologies with a specialisation in web development. Darrell is also responsible for managing core development operations and infrastructure to ensure we meet demanding standards expected by our clients. Greg is a Principal Consultant in the Covarius UK SAP Consulting practice and has over 11 years of experience in Corporate Treasury as a SAP systems implementation expert. Greg specialises in the implementation of SAP Treasury and In-House Banking solutions. His expertise is primarily in delivering implementations and building complex custom solution enhancements in SAP Treasury, SAP In-House Cash, SAP Cash Management and SAP A1 Banking. Greg has a number of Finance degrees. Darren is a Senior Consultant in the US Consulting practice. He has over 4 years of experience implementing FIS Quantum and leading global projects in multinational organisations. Darren specialises in FIS TMS solutions and reporting technologies and designing complex processes around Corporate Treasury environments. His expertise is in deploying infrastructure and architecting complex TMS solutions for large scale corporate treasuries. Darren has an Economics and Finance degree. Ricky is a Consultant in the Covarius SAP Consulting practice and has over 2 years of experience in implementing Corporate Treasury systems technologies. Ricky specialises in delivering TMS and reporting technologies within SAP Treasury. His expertise is mainly focused on implementing SAP Treasury, Cash Management and In-House cash solutions. Ricky has a number of Finance and Strategy Management degrees. 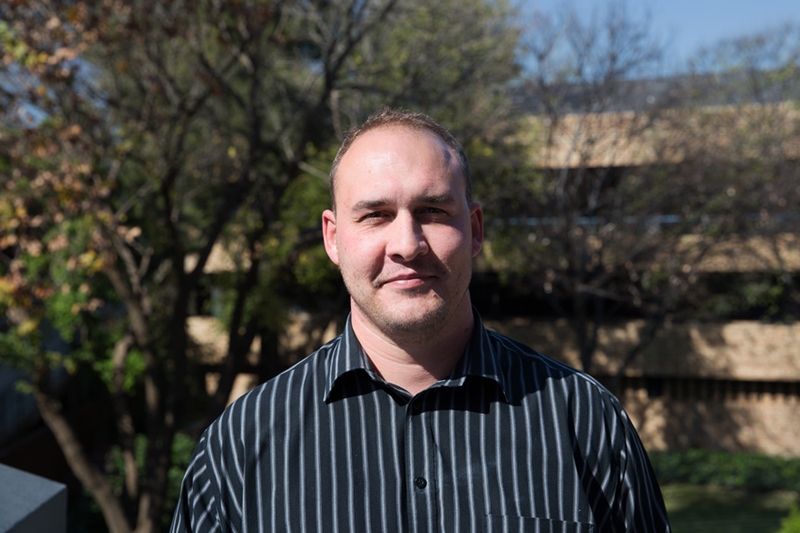 Johan is a Consultant in the Covarius SAP Lab and has over 4 years of experience in implementing Corporate Treasury and Supply Chain systems projects. Johan specialises in developing custom TMS and reporting technologies within Qlik and SAP HANA. His expertise primarily lies within build SAP Cloud solutions and building custom data and reporting solutions within various BI platforms. Johan has a number of Finance and Risk Management degrees. Nadia is an operations processing assistant and has over 6 years of experience working in Professional Services consulting operations. Nadia has extensive experience of Project Management Office (PMO) functions within Professional Service organisations. Nadia is responsible for PMO management and back-office processing for the Covarius Group. Oliver is a Consultant in the Kyriba Practice and focuses on implementing Corporate Treasury systems as well as business process modelling. Oliver’s main specialism is implementing Treasury Management Systems and reporting technologies within and around Kyriba. He has additional expertise in modelling complex Treasury business processes for large corporates. Oliver has an MSc in Economics and Econometrics.